Shirts With Random Triangles: Washington Adds 4-Star Defensive End Levi Onwuzurike To Its 2016 Recruiting Class. Washington Adds 4-Star Defensive End Levi Onwuzurike To Its 2016 Recruiting Class. Levi Onwuzurike. Image via allentdc,com. Washington has added a 13th member to its 2016 recruiting class. 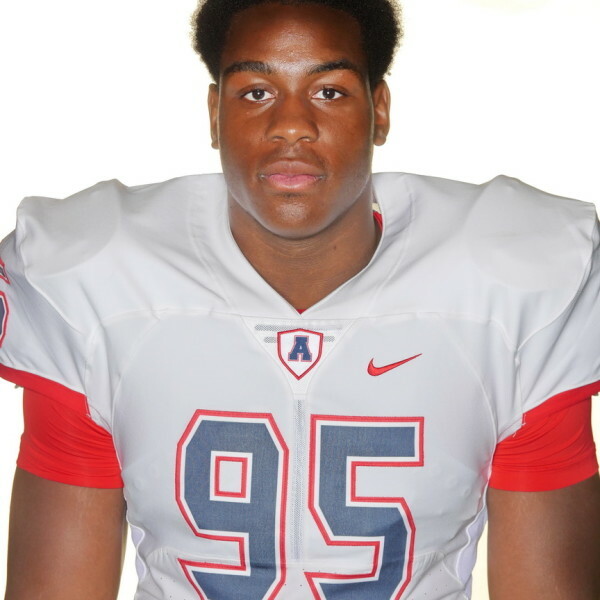 Allen, TX high school senior defensive end Levi Onwuzurike committed to the Huskies on Wednesday. 247Sports grades Onwuzurike as a composite four-star weak-side defensive end prospect. The recruiting site ranks Onwuzurike at no. 21 among WDE prospects for 2016, at no. 45 among 2016 prospects from the state of Texas, and at no. 288 in its composite national ranking of 2016 prospects.